Everyone has their standby drink, a constant go-to when you’re in the need for a beverage. A loyal vodka enthusiast myself, nothing is more appropriate than a “vodka water with lime.” Vodka WATER???? Don’t you mean soda water? No. Just plain old water with a healthy amount of lime. It’s super refreshing and it doesn’t give you a nasty hangover (unless you drink 22 of them). Plus it kills two birds with one stone: “drink a glass of water to each alcoholic beverage” they told us in Health class or Drivers Ed (? )… I might be wrong with that last one. None the less, don’t be afraid of the vodka-water combo. If you’re getting some questionable well vodka from the bar, because let’s be real, drinking gets expensive, ask for extra lime. 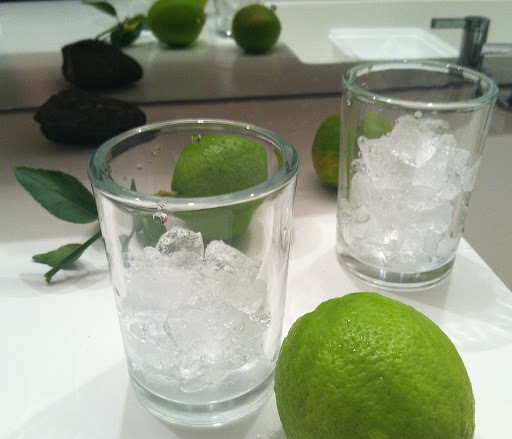 Smart, budget friendly and laced with vitamin C.
In a short tumbler glass, add ice, pour vodka, squeeze lime. Fill remaining space in glass with water. Finally, have a great night!